CRR Bill Rose and CRR Mark Deshon share a podium moment with YoUDee in 2013. 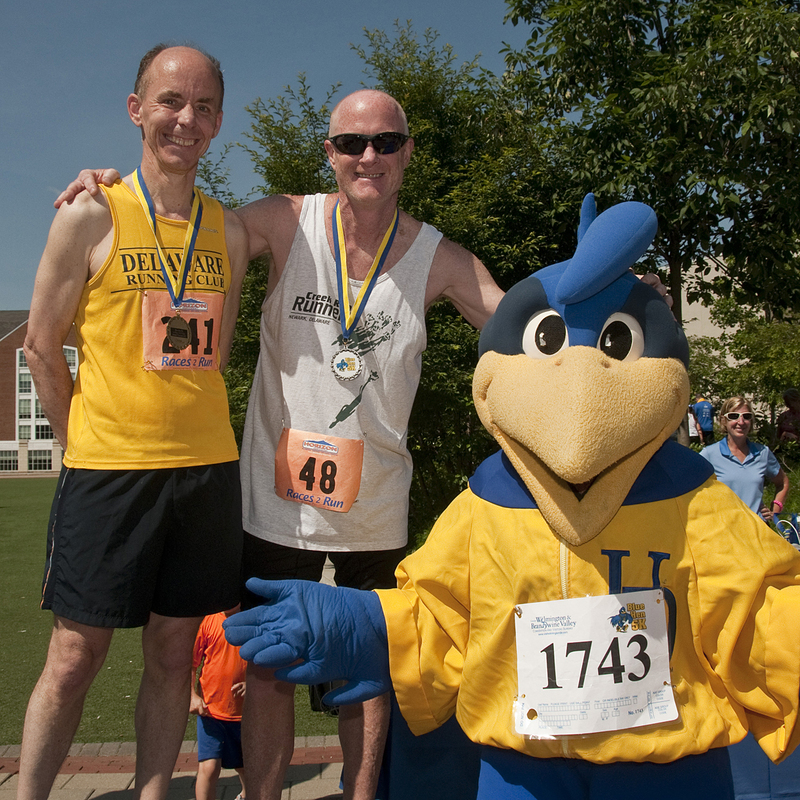 Part of the “Delabration” Alumni Weekend activities at the University of Delaware, this 5K features Creek Road in a fast out-and-back race that starts and finishes on the Laird (north) Campus and incorporates part of the Pomeroy Trail on the way out and on the way back. Come out and run on your “home course” this Sunday, June 7. Race start is 9:30 a.m.
CRR Bill Rose hasn’t lost a step in several years now, as is evident with his age group (50-59) win at the Blue Hen 5K on Sunday. Rose turned in a very fast 19:30 to come in 8th overall out of 266 in an unusually fast field. This was eight seconds better than his time last year on the same course. Not to be outdone, CRR Diane Kukich won her age group (60-69) as well, in 24:37. Ageless wonder CRR Bob Taggart may have lost a few steps, but he can still get it done too. 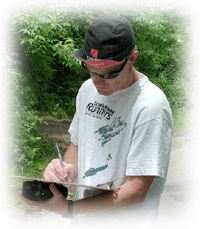 Taggart won the 70-79 age group in 25:20. Each of them has won their age group in this race before, so this was not a big surprise. Congratulations for consistency, you three.